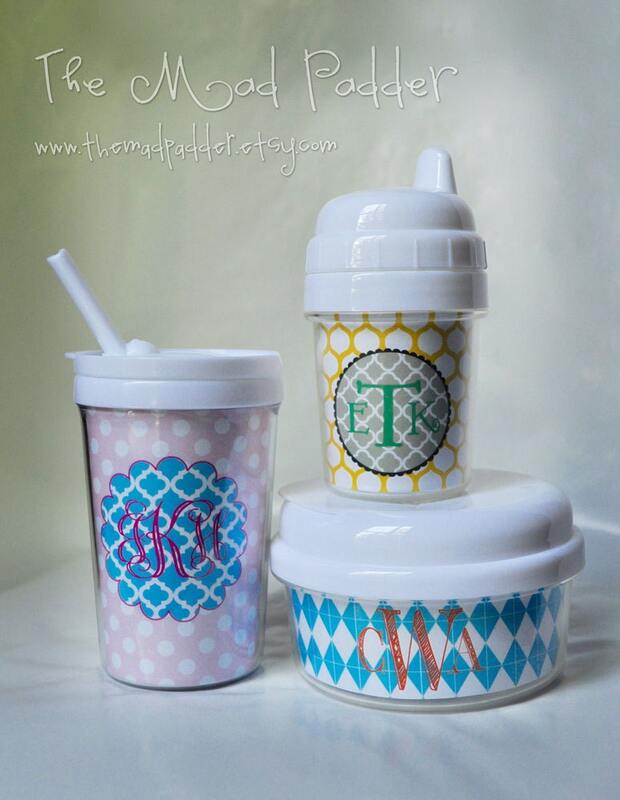 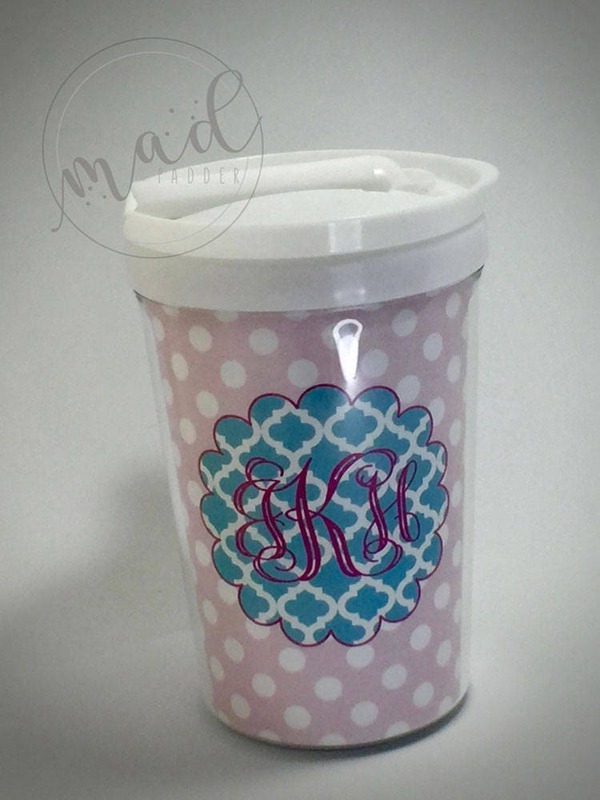 This adorable cold beverage tumbler for your little one can be taken anywhere...perfect for drinks on the go, in the car, or to keep spills from happening at home! 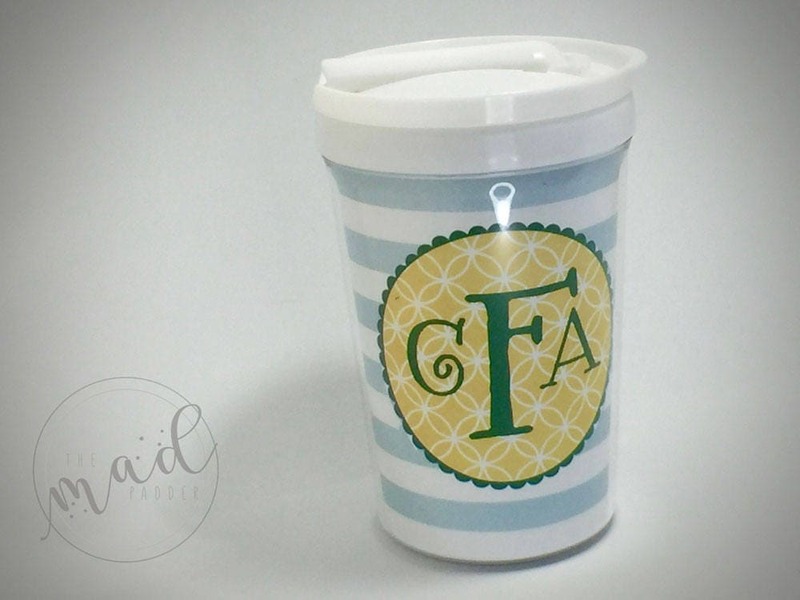 You choose the frame, patterns, colors, and monogram to make it just perfect. 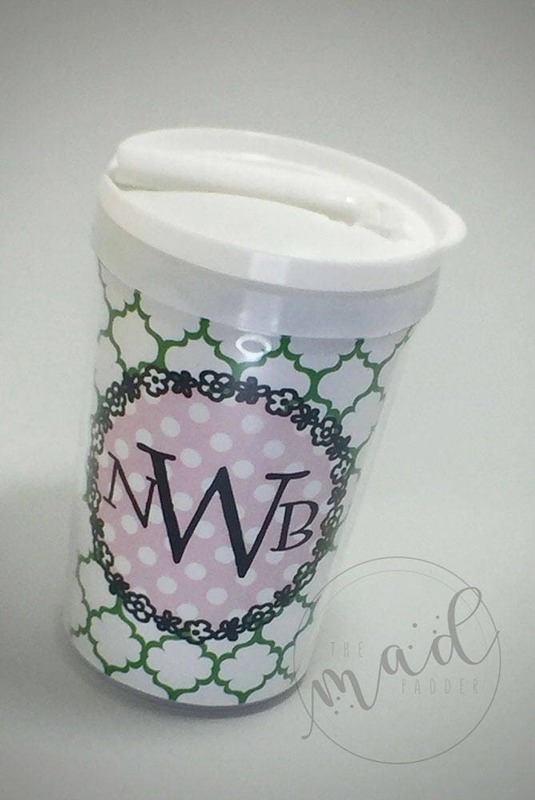 Your custom design is printed and inserted inside the BPA free tumbler that holds 8 oz. 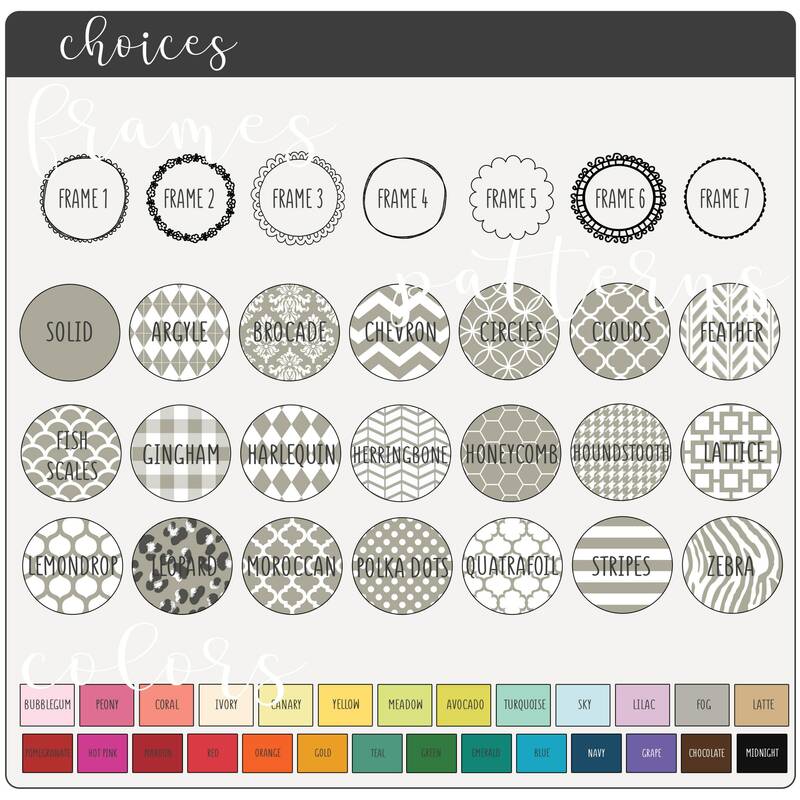 When ordering, please enter your selections for the frame & background pattern for inside the frame from the drop down menu. 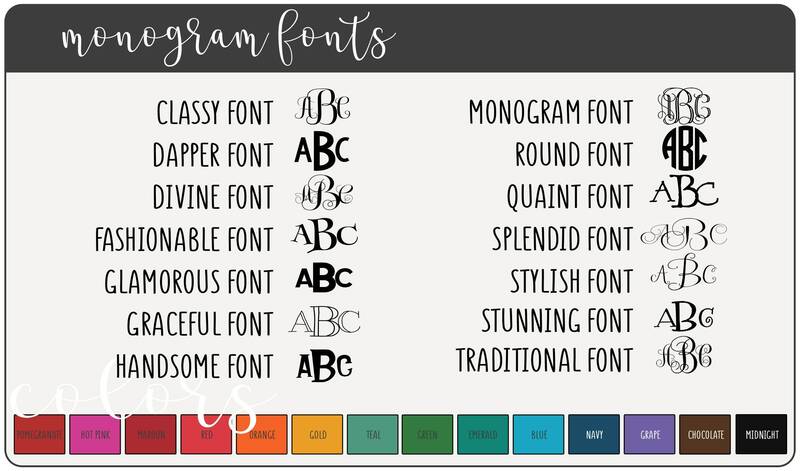 Then, copy and paste the list below in the comments box and fill in the information.